It's always summer in the pretty, feature-packed Flowers slot from software giant NetEnt. Quirky and fun, with classic graphics and double symbols for twice the value, this five-reel, 30-payline slot is a triumph in NetEnt's old-school catalogue. 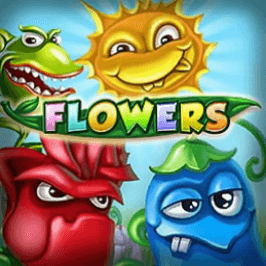 Play Flowers Slot Demo for Free! Play Flowers for Real Money! Straightforward, cartoonish and rounded off with an exciting feature, Flowers is played across five reels and 30 paylines. You can spin the reels from as little as 30p all the way up to £75 a spin for all those high rollers out there. The graphics are bright and cheerful with upbeat, garden-inspired audio to match, so from an entertainment standpoint this slot is sure to grow on you. 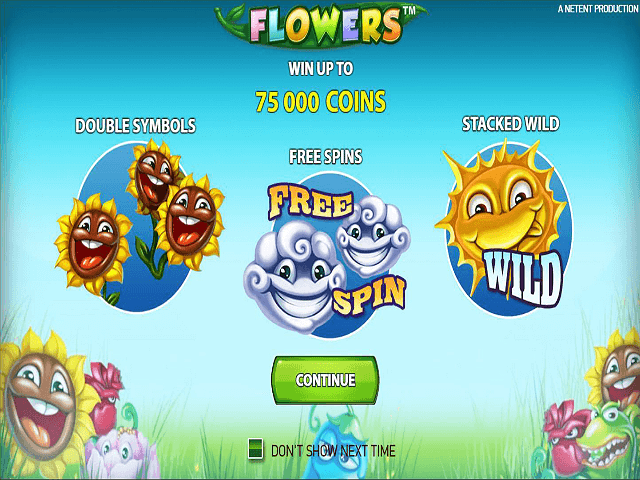 A fair 96.3% return to player percentage and special games feature boasting Double Symbols, Wilds, Multipliers, Stacked Wilds and Free Spins give a whole new meaning to flower power. To get started, you simply need to set a number of win lines, which you can do using the green buttons on the left-hand side of the screen. Stake your cash using the coin button to the right. If you're happy to leave your spinning to chance, click the Auto button to set the number of rounds you'd like to play hands-free. It’s the blue, red, pink, yellow and green flowers that make up the higher value symbols, while the standard J, Q, K and A are the low value symbols. Every flower needs a bit of sun and a bit of rain to flourish and these characterful flowers are no exception. You’ll want to look out for the Wild sun and the Free Spins cloud symbols, as these can help you grow your stake to a big payout. The double symbols stand in for two standard symbols, making it easier to hit winning combinations on an active payline. There are ten of these symbols lurking on reels two, three and four, so keep your eyes peeled. The Free Spins symbol can come in the form of a double symbol too, while the Wilds can show during the base game and will substitute for all other symbols except the Free Spins and double symbols, creating winning bet lines. These flowers don’t hold out on rewarding you. Flowers keeps things simple with its features. This game is all about the Free Spins round, where you can land up to 30 with those promising rain clouds. If you hit four, five, six, seven or eight cloud symbols you’ll trigger ten, 15, 20, 25 or 30 Free Spins, with all wins subject to a 3x Multiplier. During this bonus round, the Wild symbol becomes a Stacked Wild, which means it'll cover all the symbols on a reel and boost your chances of planting a winning combo. The Free Spins round can be re-triggered by hitting more cloud symbols. 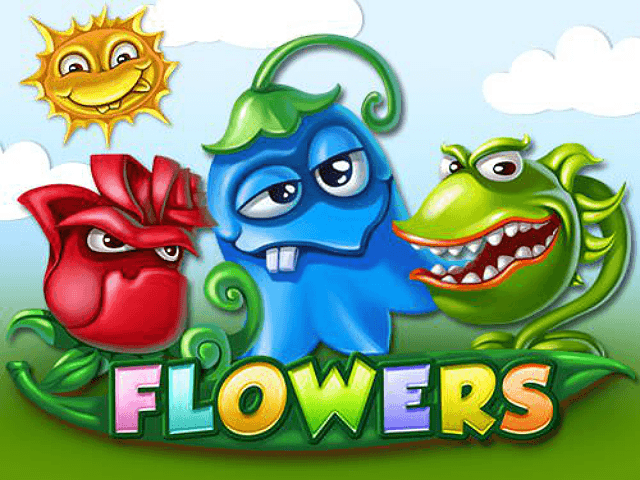 For good, clean fun and endless spins, Flowers is the online slot for you. 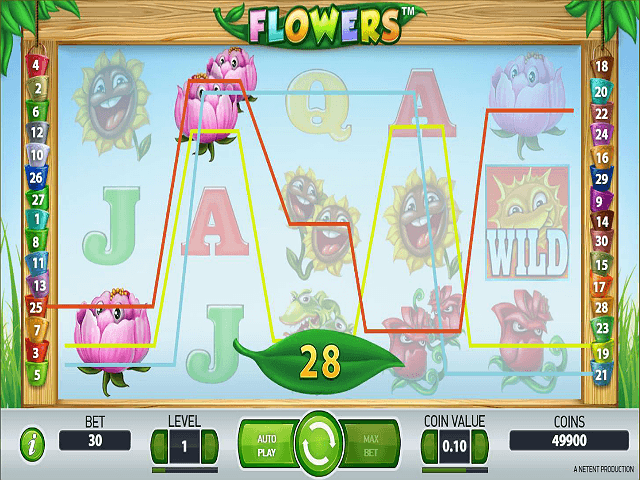 Dig in now to see your bankroll blossom. Share this Flowers Review today! 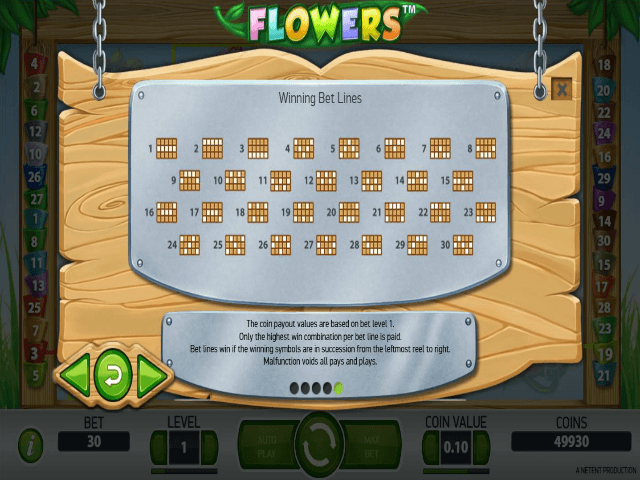 If you like Flowers, you'll love these slot titles too!